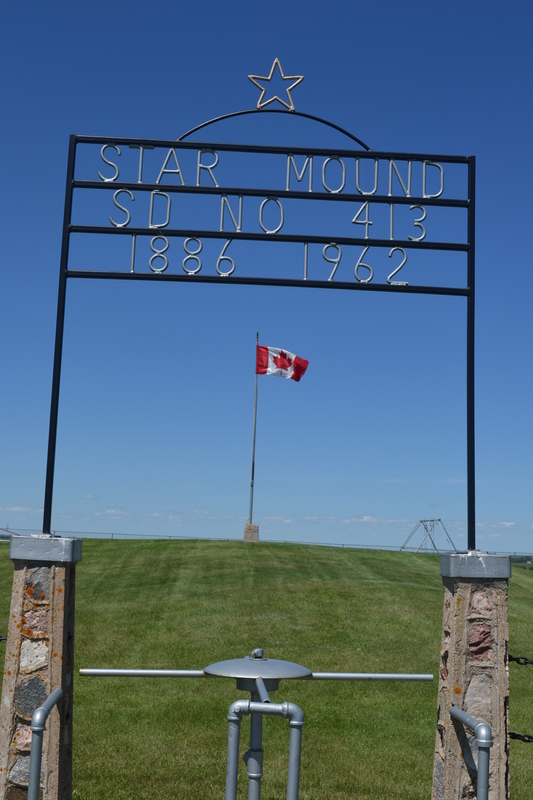 Just down the road from my family farm you’ll find the Star Mound School Museum. 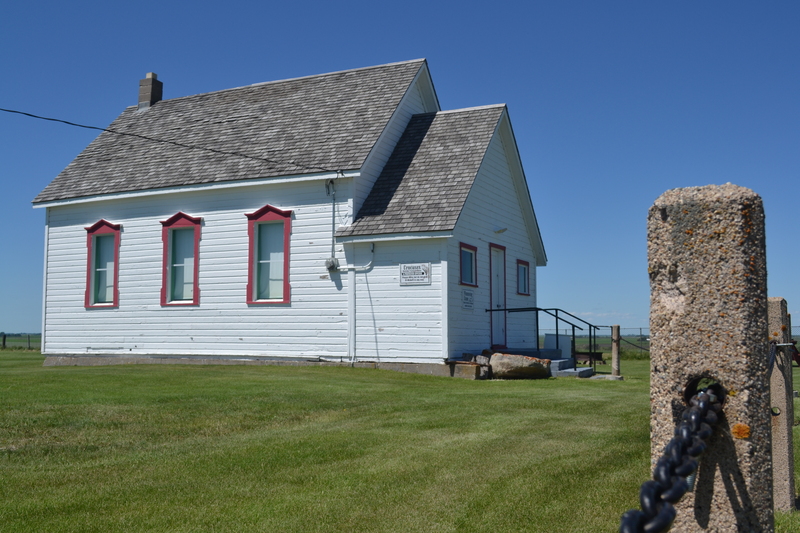 Built in 1886, this one-room schoolhouse sits atop a small hill that pops out of the flat Prairie landscape. 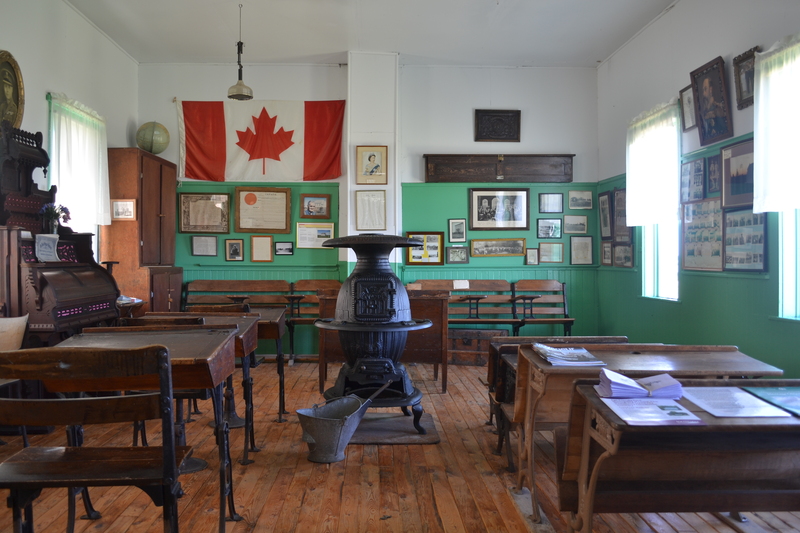 The schoolhouse is now a museum and is visited by hundreds of people every year from all over Manitoba, Canada, the United States and other parts of the world. 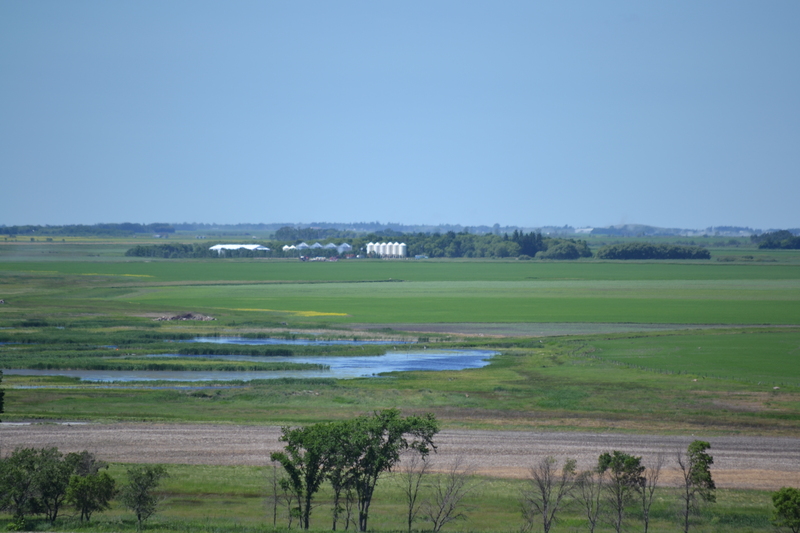 From the top of the mound visitors have a magnificent panoramic view of southern Manitoba and northern North Dakota. And each spring many people drive up to Star Mound to see the beautiful crocuses that flourish on the mound. (The lavender-colored Prairie crocus is Manitoba’s provincial flower). Step into the tiny schoolhouse and you’ll be taken back in time. Here are some photos from Star Mound. Flying the Canadian flag on top of Star Mound. 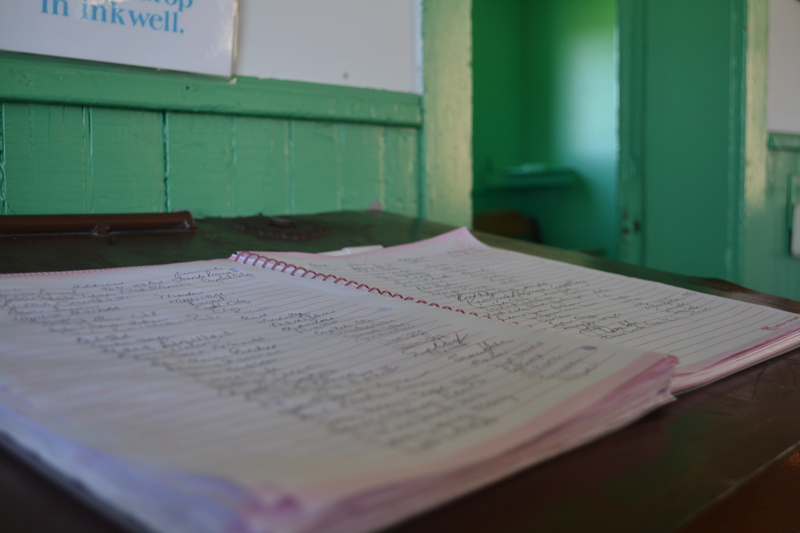 Inside the one room schoolhouse. 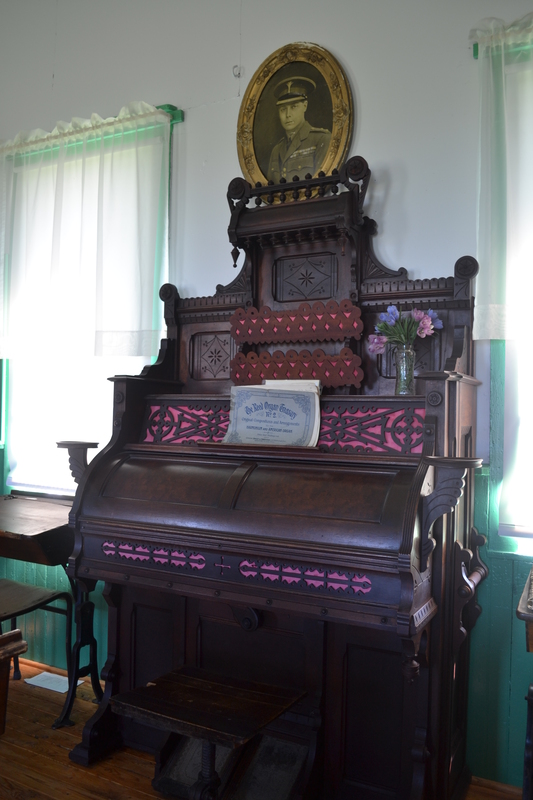 The old organ in the schoolhouse. The Star Mound School Museum guest book. You can see my family farm from the top of Star Mound. (The clump of trees with the white and grey grain bins and white shed in the distance). 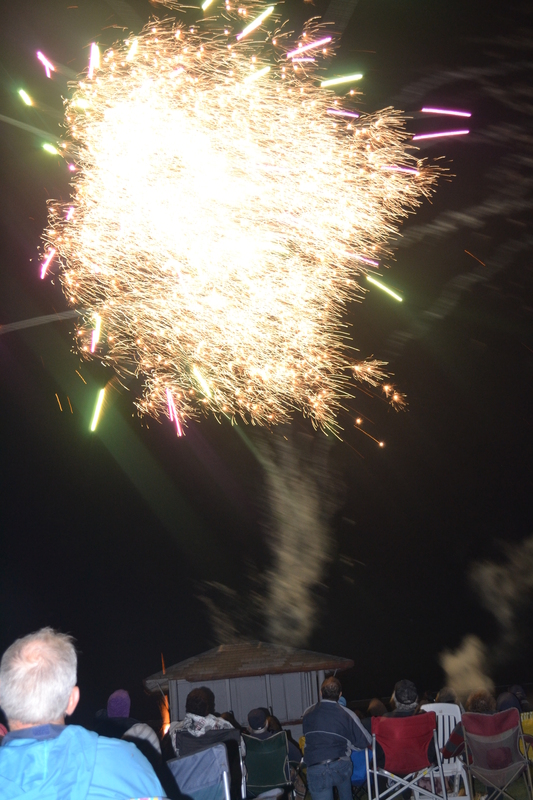 People from nearby communities, and even a few from further away, descend on Star Mound every July 1 for the annual fireworks display celebrating Canada Day. The fireworks are not that spectacular, but yet every year people still come. It’s an opportunity to visit with old friends and meet some new friends. And it’s a tradition. The museum is open daily from April to October. No admission. If you’d like directions, please let me know. It’s funny how alike so many of the older school houses look! I had to giggle when I saw your blog name. Very similar to mine! Hi Amy! Thanks for reading and commenting on my blog. I agree, a lot of the older schoolhouses seem to look the same. Our blog names are very similar – it’s a catchy name! I love your blog. I like the photobook you made for your daughter. If you’re on Twitter, please follow me @teresadfalk. Thanks Amy! I thought you might like the little schoolhouse!